This is because this function is not supported in IE8, even this Microsoft documentation page proves it. However, there are workarounds of course. Either you can define the trim() function, or you can use jQuery’s trim(). This code uses a regular expression to remove the leading and trailing whitespaces from a string. The if condition makes sure that it is only defined if it does not exist in the first place. This tutorial explains how to create a two-column layout, where one of the columns become scrollable if it’s height would exceed the other column’s height. There are two possible variations of this. Either the left or the right column is scrollable. These require slightly different solutions on the CSS side, so I will explain each of them separately. Basically we are just taking advantage of the properties of the absolute and relative positioning. We will use two elements inside a container. One of the elements will use the default static positioning and is able to push the height of the container out depending on it’s content. The other element will have absolute positioning so it is taken out of the normal flow, and unable to alter the height of it’s parent. What we will do with this absolute positioned element is that we make sure it’s height is 100% of the parent’s height and force the content to scroll instead of overflowing. So this way, our relative element will control the height of the container, and the other element will adapt to it’s height, and if it would exceed it, we make it scrollable by setting the overflow-y property to auto. We used background color on our elements in the upcoming demonstration, but they are just there so the outcome is more visually apparent. Also, the widths of the elements can be changed, they don’t have to be 50-50%, as in the example. The HTML structure we use will be the same in both cases, so this is the first thing I show you. We have a container and two columns that are div elements in this case, but you can use other block level elements if you wish. The left and right columns should have some content depending on which of the two cases you would like to demonstrate. Use longer content in the div that you would like to make scrollable. Here is the CSS that makes the left column scrollable. Notice that we are using a 50% margin on the right element, so it is positioned in the proper place. Here is the CSS that makes the right column scrollable. You can see, that it’s really similar to the previous example, but we are using the right and top properties, to position the right side element the correct way. This solution has been tested and it works in the latest Chrome, Firefox, and in IE 8-11. A typical example of a link that changes it’s text is when you would like to create section on your website and need a link that says Collapse when the section is open and says Expand when the section is closed. This is an expandable section. Clicking the link can open and close the section. So our program is working fine, but we could improve it a little bit by changing the text of the link depending on the status of our section. Now comes the most important part. As you can see in our HTML we provided the Expand and Collapse texts is data attributes. We will use CSS to read these attributes and set them as the link’s text. The Samsung Galaxy S3 and S3 Mini’s browser (and possibly other devices as well) produce a strange issue that causes links not to be clickable if the text of the link is set using pseudo attributes. Here is some sample code that can produce this issue. In this example, by default the link’s text will be Collapse, but if the expanded class is added to the link, it’s text changes to Expand. 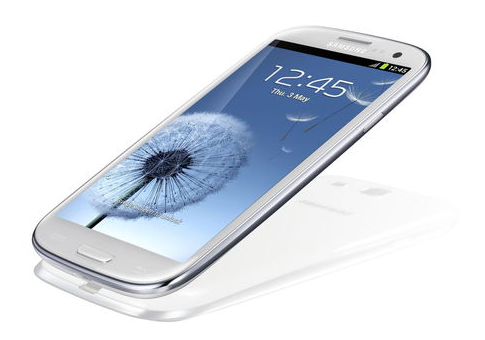 However, this does not work correctly on Samsung Galaxy S3 and S3 Mini. The text of the link is displayed correctly in both cases, but it is not clickable. To solve this issue you need a strange workaround. Set the background color of the link. It can be invisible if you don’t really want a background, but the background must be set.